The CoffeeShop Blog: CoffeeShop "Swirly Painterly" Fine Art Texture! CoffeeShop "Swirly Painterly" Fine Art Texture! I have a real texture addiction, both making and using them. Today I have a new fine art texture I call "Swirly Painterly". I kept this one in B&W so it won't change the color of your original image. I like to use it in Soft Light or Overlay blending mode. 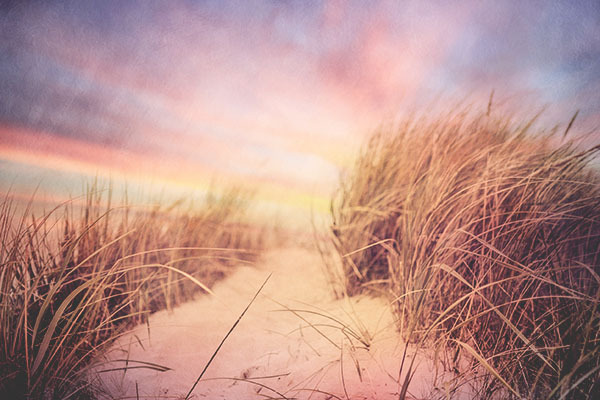 I used this lovely flower image and beach grass image in this post. Today I also wanted to show you how I combine several of my textures and an action to create my own fine art. If you want to follow along with me I have links to everything I used in this edit. I found this lovely photo and wanted to make it darker, so I added a Levels adjustment layer (without any changes) and put that layer in Multiply blending mode. Next I added one of my dramatic Beach Skies Overlays in Multiply blending mode. Tutorial is here. Then I ran one of my favorite actions called "Fashionista Luxe" on the image. I love this so far!!! Finally I added my "Swirly Painterly" texture, from this post, on top twice under the Matte layer. I put one layer in Soft Light blending mode, 30% and the other on in Soft Light blending mode, 100%. I think this really creates a lovely piece of art. I would love to see your own work using my freebies on my Facebook page. Download the CoffeeShop "Swirly Painterly" Fine Art Texture. 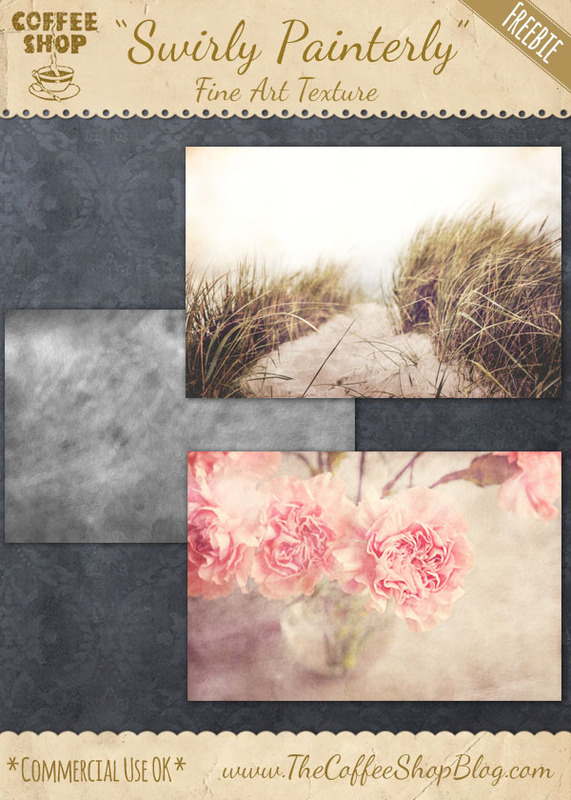 You can also download it here or get all of my favorite fine art textures (plus photographer storyboards and digital designs) in one simple download here. I just love your textures. Thanks so much Rita. Thanks so much for the lovely texture and wonderful tutorial!